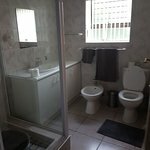 2 on Lismore offers you self-catering accommodation that is tasteful, neutral- toned and relaxed to ensure your stay in Cape Town is a pleasant one. 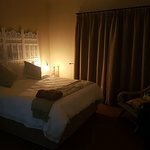 We loved staying at 2 on Lismore. It was central to everything. It has everything we needed and more.We were treated very well. Looking forward to our next stay. We will be recommending it friends. Nice and comfortable stay! 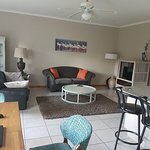 We love our time there it is so well run so welcoming and comfortable we have a beautiful room and arrangements are made for to dine out somewhere different each evening at one of the many wonderful restaurants in... Truly exceptional!! Close to the airport and Cape Town and Chapman's Peak. Get quick answers from 2 on Lismore staff and past guests.